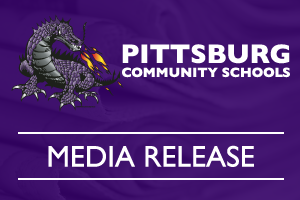 Pittsburg, Kan. (Tuesday, March 6, 2018) – On Tuesday, March 6, 2018, Pittsburg High School administrators were made aware of a threat. Administrators are working with the Pittsburg Police and the Crawford County Sheriff’s Departments who are conducting an investigation. An increased police presence will be visible at PHS. All students and staff will be required to enter through the main entrance. All students will be required to have their bags checked by law enforcement.